Those of us who are neither Catholics nor saints probably shouldn’t care whom the Pope decides to honor as a saint. After all, previous Popes made saints of some pretty nasty people. They even made saints of some who were entirely fictional. Yet those were just embarrassing mistakes (like torturing tens of thousands of men, women and children to death as witches) made during the bad old Dark Ages, weren’t they? The Church today would never declare someone a saint who hadn’t lived a life that set an extremely high moral and spiritual example, not just for their own time, but for all time. Would they? Apparently they would. 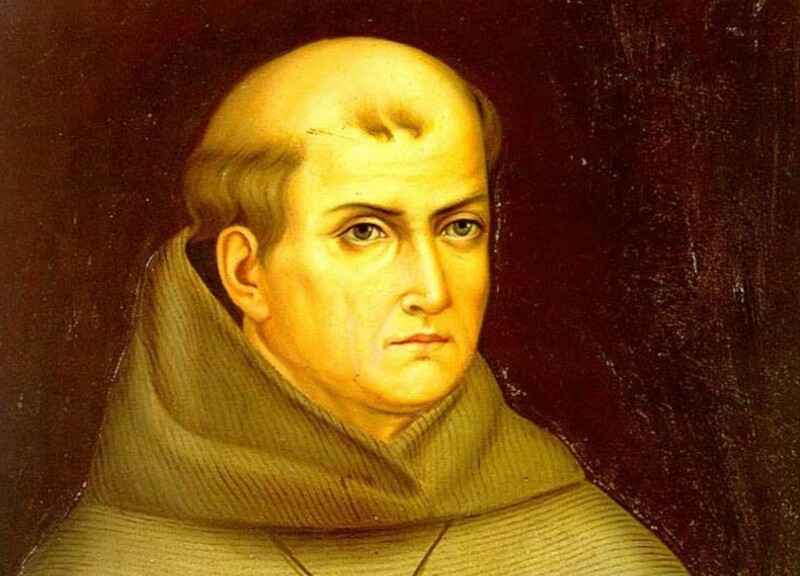 The Pope says he will declare Junipero Serra a saint when he visits the United States next summer – although he will avoid California and thus avoid facing the descendents of the people on the receiving end of Serra’s saintly deeds. Which is understandable, given that Serra was the chief architect of a series of forced labor camps where California’s native people were enslaved, subjected to barbaric torture, and forced to live in crowded, unsanitary, and disease-ridden conditions, where they died in overwhelming numbers. If Serra were alive today, he’d more than likely be sitting in the dock at The Hague charged with genocide and crimes against humanity. Yet judging a man of the 18th Century by the standards of the 21st is unfair, his supporters contend. Which is true, if we’re talking about criminal liability, but a lot less persuasive if we’re talking about sainthood. So let’s take a look at what another 18th Century European thought about the mission system developed by Serra. 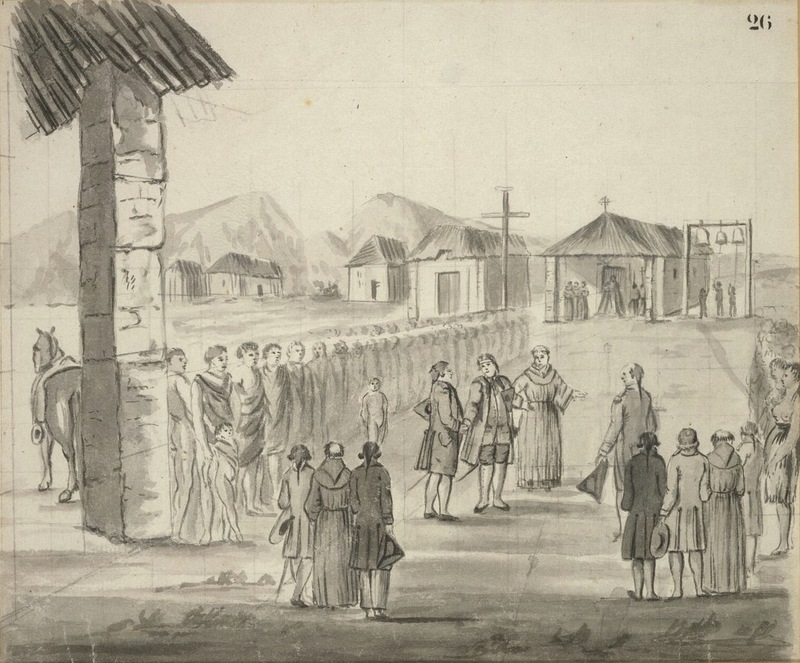 In September of 1786, sixteen years after Serra established the first mission and two years after Serra’s death, the French explorer Jean François de la Pérouse became the first non-Spanish European to visit a California Mission – Mission Carmel. Sexual repression was also a notable feature of mission life, and women, of course, bore the brunt of it. “An hour after supper they take care to secure all the women whose husbands are absent, as well as the young girls above the age of nine years, by locking them up,” wrote la Pérouse, before going on to describe both men and women being harshly punished for perceived sexual improprieties. He also noted that “many children perish of hernias,” a disturbing observation which suggests hard labor was by no means limited to adults. This was true. De Neve, who described Serra as “arrogant” and “willfully deceitful,” opposed Serra’s practice of sending soldiers to hunt down escapees. De Neve also tried to give the natives the right to elect a government of their own outside the control of the mission fathers – only to be thwarted by Serra. So it’s probably safe to say that de Neve and la Pérouse, two Serra contemporaries who witnessed the mission system first hand, in spite of their considerable prejudice against the native population, would have been more than incredulous had someone told them that over 200 years in the future Serra would be up for sainthood. So there you have it from Serra himself. It’s OK for saints to whip Indians, because… well… it’s been going on for a long time. The last time the Serra sainthood controversy erupted was back around 1988, when Serra was beatified (which isn’t, apparently, the same thing as being beaten). This event created so much unhappiness among local descendents of Serra’s victims that the Church held a public meeting in the Crossroads Shopping Center’s Community Room to allow for a full discussion of the issue. One after another, native Californians, many of whom were devout Catholics, described, often tearfully, their extreme distress at the leaders of their faith proposing to endorse the mistreatment and murder of their relatives, and the destruction of their families and traditional culture, by sanctifying the memory of the man primarily responsible for those atrocities. The testimony was so moving that in a rational world the meeting would have ended right there with a promise from the Church to drop the whole idea. But this is not a rational world. Instead a “Catholic historian,” apparently one of the chief Serra sainthood promoters, took the stage and began to deliver a predictable lecture on how Serra should only be judged by the standards of his time, how the Indians had led spiritually and materially impoverished lives before the coming of the Spanish and how, if Serra hadn’t done what he did to them, someone else might have come along and done something even worse. “What about the beatings?” someone yelled. … and the meeting dissolved in chaos. We don’t know whether the Church will call any public meetings this time. But if they do, Doner, and his direct approach to the issue, will be sorely missed. Read an excellent annotated translation of la Pérouse’s Monterey/Carmel journal entries. This entry was posted on Sunday, January 25th, 2015 at 9:09 am and is filed under History. You can follow any responses to this entry through the RSS 2.0 feed. You can leave a response, or trackback from your own site. Brilliant. I remember that meeting and dear Don of blessed memory and his comment! The “historian” was I do recall the same (Jim Kinney?) who came to All Saints Day School to lecture the children, including my son, about the “kind and benevolent Father Serra”. He was extremely close minded. Thanks again. XT, your readers might be interested in another exceptional book that was published following Serra’s 1985 veneration and in opposition to his then approaching beatification: The Missions of California: A Legacy of Genocide, Edited by Rupert Costo and Jeannette Henry Costo, Indian Historian Press, 1987. The Costo’s brought together in this one title a remarkably diverse collection of voices on the question of Serra’s worthiness for sainthood, from native Californian and native American activists and scholars to liberation Catholic clergy and the inevitable establishment Catholic apologists. Anyone seriously interested in the appropriateness of Serra’s canonization would benefit from tracking down and reading a copy of this long out of print but exceptional work. Maybe he can do some good from heaven, if that is indeed where he resides. This is a great post. The clash of the two cultures and the legend of a venerated man make for great reading. Serra is not worthy of saint hood because of his abuse of the helpless people under his control. Thanks so much, XT, for this timely and passionate post—and for bringing la Perouse to bear as historical witness. The Dominican Bartolome de las Casas (centuries before) in Chiapas would serve, too—as would the example of St. Francis himself in how completely non-coercively he always preached the gospel and visited the Sultan in the midst of Crusades deliberately apart from—not in support of—European military force. I’ll probably chime in on the subject myself before much longer. In 1988 James Sandos published a riveting, important account of the role of eminent (UC Berkeley) historian Herbert Bolton’s role (with Geiger and Culleton) in gathering historical evidence in 1948 towards canonization. It’s a fascinating account that includes counter evidence by people like John Peabody Harrington and Sherburne Cook. This is a Pope who’s also (admirably) arguing towards the canonization of Oscar Romero. Why he’d entangle himself in a Serra canonization escapes me—but the politics of it would be very interesting to explore. There is much historical evidence that Serra and the other Franciscan missionaries used the Spanish garrison to forcibly capture and return run-away Natives to their mission imprisonment where they were forced to labor. That behavior is virtually identical to subsequent forced recovery of run-away African slaves in the early United States. The suggestion that anyone associated with this behavior is a “saint” is absurd and insulting to our basic humanity.